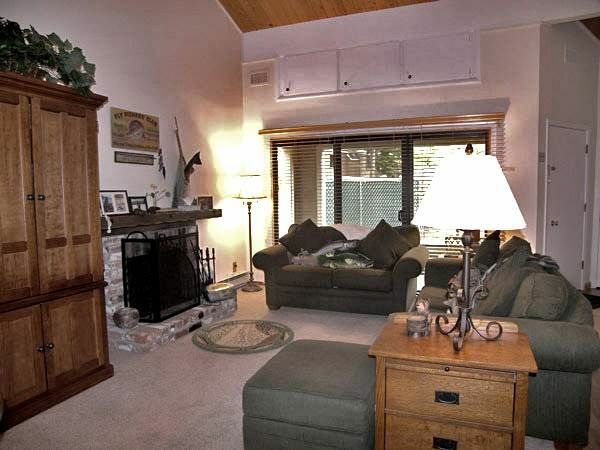 Very well decorated condominium located just a few blocks from Incline Beach and the Hyatt Regency Casino. The master bedroom is extra large with three beds. Perfect location in the summer to be able to walk to the beach and many restaurants. We have many properties in this complex so its great for reunions or large groups. 7th night is free for many dates so please ask. Cozy, clean, centrally located, close to beaches! We were a group of 5 (H and W, son and his 2 friends) - perfect size for this cozy, homey condo. It's clean, with good, comfortable beds and pillows. However, it's summertime in Tahoe and it gets hot in the upstairs bedroom - no AC? House also does not have wifi. We have a jet ski and parking inside the condominium complex is not allowed. Despite these, good value overall and we all enjoyed our stay. This condo was in good shape, well-stocked and homey. It was short walking distance to the hot tub and parking was easy.